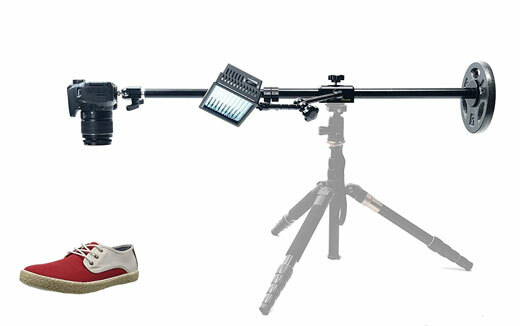 Glide Gear OH100 Metal Overhead Stand: ready for DSLR cameras and your iPhone. It has a sturdy metal construction and multiple 1/4-20 options. It has a max height of 27 inches. 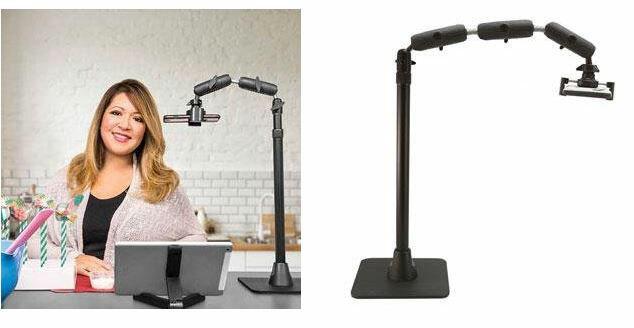 AceTaken Calligraphy Video Stand: lets you record and livestream your sketching and baking . It has a 1/4″ screw and works with cameras under 350g. Glide Gear OH80: an overhead pole with adjustable length of 21 to 36 inches. 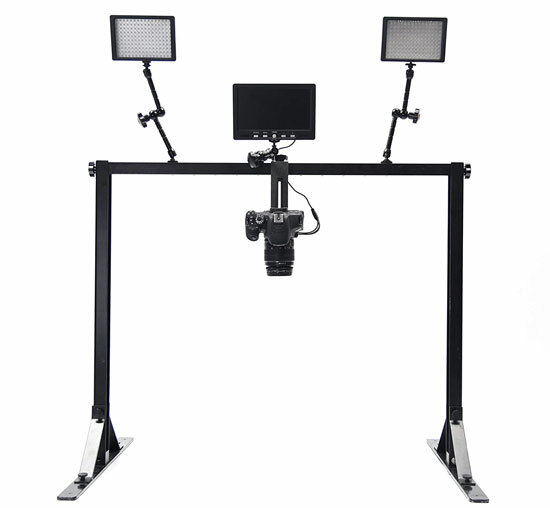 It comes with a 11″ friction arm, ball head, LED light, and phone holder. Arkon Pro Phone Stand: comes with a weighted base to secure your phone. It extends from 17″ to 29″. Fits phones with cases up to 2lbs. 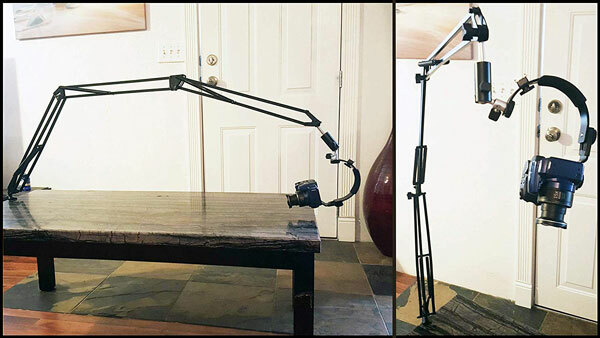 5ft Articulating Arm Camera Mount: a flexible desk clamp camera mount for DSLRs and smartphones. 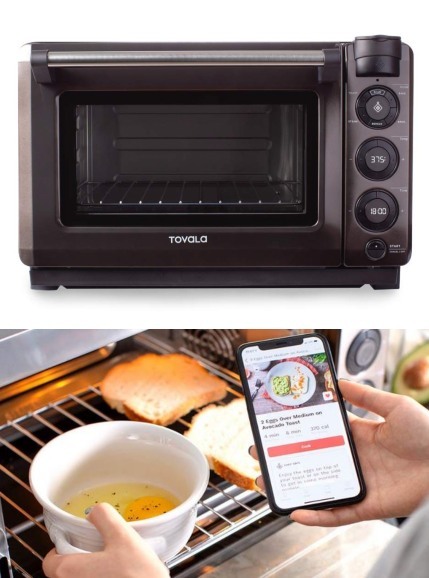 It supports up to 2lbs of weight. Ships with a phone clip adapter. Supports overhead and other challenging angles. Have you found better overhead mounts and stands for iPhone and other small cameras? Please share them here.